Like adults, children consume more salt than the maximum recommendation. Simple measures need to be taken to help reduce salt intake and therefore reduce the number of people suffering from cardiovascular disease. Children are considered a vulnerable group in society often with little influence on or involvement in what they eat. Evidence suggests that dietary habits in childhood and adolescence also influence eating patterns in later life. Liking salt and salty foods is a learned taste preference and so it is vital that children do not develop a taste for salt in the first place. Further to this, a high salt intake in children can influence blood pressure and may predispose a child to the development of a number of diseases including: high blood pressure, osteoporosis, respiratory illnesses such as asthma, stomach cancer and obesity. This year for World Salt Awareness Week we want to ensure everyone understands the importance of a healthy start for children. As part of the week we will be encouraging the food industry to act more responsibly by reducing the amount of salt they add to children's food and to stop advertising high salt food to children. 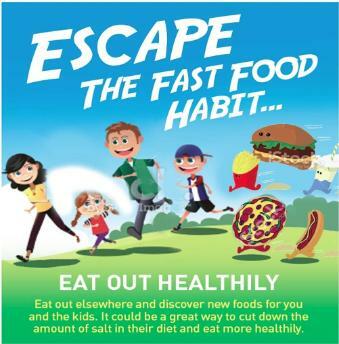 Further to this public health messages, and education programmes are needed to reinforce this message, and so we will be developing campaign materials with useful information and tips for parents and children on simple changes that can be made to make sure everyone can enjoy a low salt diet. As part of the Week we will also have a media campaign to draw attention to this important issue. More details on this will be posted shortly.